It was a fight club—but without the fighting and without the men. Every month, the women would huddle in a friend’s apartment to share sexist job frustrations and trade tips for how best to tackle them. Once upon a time, you might have called them a consciousness-raising group. But the problems of today’s working world are more subtle, less pronounced, harder to identify—and, if Ellen Pao is any indication, harder to prove—than those of their foremothers. These women weren’t just there to vent. They needed battle tactics. And so the fight club was born. Hard-hitting and entertaining, Feminist Fight Club blends personal stories with research, statistics, infographics, and no-bullsh*t expert advice. Bennett offers a new vocabulary for the sexist workplace archetypes women encounter everyday—such as the Manterrupter who talks over female colleagues in meetings or the Himitator who appropriates their ideas—and provides practical hacks for navigating other gender landmines in today’s working world. 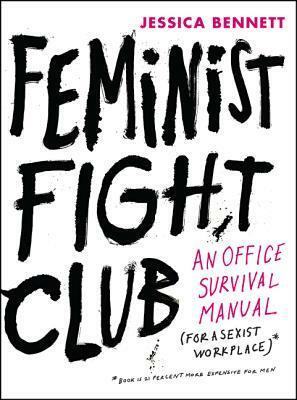 With original illustrations, Feminist Mad Libs, a Negotiation Cheat Sheet, as well as fascinating historical research and a kit for “How to Start Your Own Club,” Feminist Fight Club tackles both the external (sexist) and internal (self-sabotaging) behaviors that plague today’s women—as well as the system that perpetuates them.